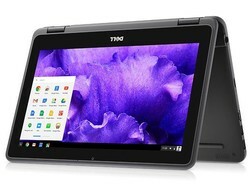 The major manufacturers do not just sell Windows-based laptops, but have the rather inexpensive and frequently more portable Chromebooks with Google's Chrome OS in their portfolio. This particular operating system is based on the idea that most of the work a user encounters can be done using the browser. Chromebooks run a version of Linux with a very small footprint and utilize the Chrome browser running on top of the OS. Even though local web applications can be installed as well, the focus is clearly on cloud-based services accessed via the browser. The following table shows an overview of the best Chromebooks reviewed by Notebookcheck. If the ratings are equal, the latest review is listed first. The table can be sorted by clicking on its headers and filtered by entering text in the text field above it (e.g. "matte" or "touch"). Yes, Dell Inspiron 7486 Chromebook 14 2-in-1 is a bit of a mouthful. 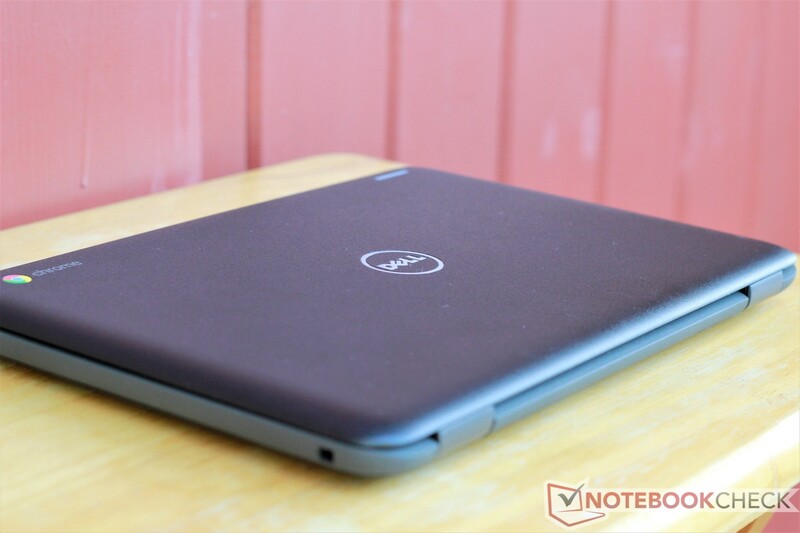 Yes, more than 500 Euros is a lot of money for a Chromebook, but the Dell Inspiron 7486 is worth it: It offers a great panel, comes with a stylus, is powerful, and manages long runtimes. Android apps run smoothly and the input devices are also good. The only problems we can find are the quiet speakers, the slightly too heavy lid, and the uneven background illumination of the screen. However, these are just minor drawbacks considering all the advantages. You have to pay a lot of money for a Chromebook, and the device is not sold everywhere, but it is one of the best Chromebooks you can currently get. 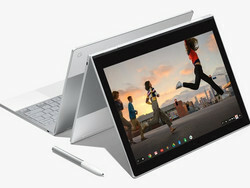 Chromebooks are not only inexpensive system we know from earlier days, which is shown by Google: The inventor of the Chromebook sells its Pixelbook for about 900 Euros (~$1080), but can easily climb above 1000 Euros (~$1200) depending on the components. In return you get a convertible with support for pen inputs, which can also handle Android apps from Google's Play Store. 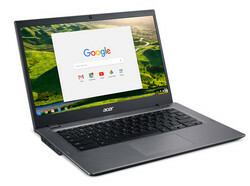 The fast processor, great build quality, and long battery runtime create an almost unique Chromebook, but Google also sacrifices some features: There is no classic USB connector or a card reader. Both features require an adapter, which are not provided. Our list of negatives is quite long, because the input devices are pretty loud, there are occasional WLAN dropouts, and there is some coil whine. All in all, the Google Pixelbook is the only real high-end Chromebook, but it reveals a lot of small drawbacks that potential buyers will have to accept. We hope the next generation will be an improvement. 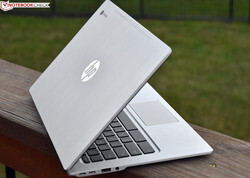 HP's Chromebook 13 G1 is another comparatively expensive for a Chromebook with a base price of almost 500 Euros (~$600). A few hundred Euros more will get you a faster processor, but this will result in a very high price for a Chromebook. This does not make a lot of sense when you consider the limitations of the operating system. All SKUs get a high-resolution screen, good case, and reliable input devices, so the HP Chromebook 13 G1 should be on the short list of every potential Chromebook buyer. 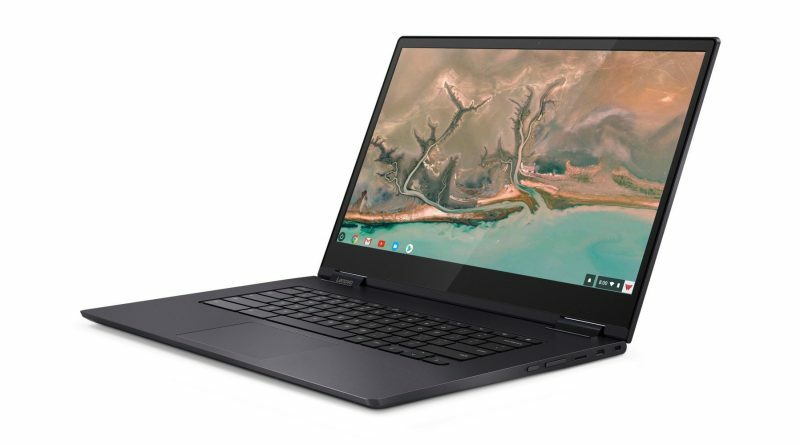 Lenovo's Yoga Chromebook C630 is another expensive device with ChromeOS. 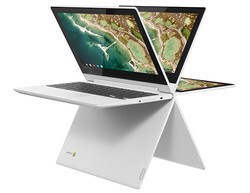 Unfortunately, the concept does not really work for a Chromebook: For starters, the 15.6-inch device is just not as portable as other Chromebooks and there are also limitations for the battery runtime. The display is not bright enough and it consumes quite a lot of power. There are also good things about the Yoga Chromebook C630 like the 4K screen and a very generous RAM equipment. However, both the screen resolution as well as the performance of the device is a bit too much for ChromeOS right now and do not offer any advantages over less expensive models. Lenovo's Chromebook does not stand out enough and we cannot recommend it without any reservations. It is only worth a look if you want the high performance and can live with the heavy and bulky chassis. 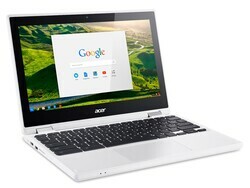 Acer's Chromebook 14 is available for about 300 Euros (~$360), which is common for a Chromebook. 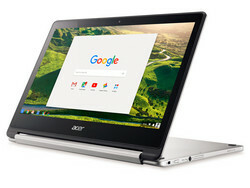 The design is more grown-up compared to some of the earlier Chromebooks, because Acer wants to market it as an office device. This might actually work, thanks to the decent keyboard and long battery runtime. We also like the picture quality of the matte screen, even though it could be brighter. The slow SD card reader and the limited performance are minor drawbacks, but the Acer Chromebook 14 is still a very fast device within its class and sufficient for everyday office tasks. The Lenovo Chromebook C330 is made of plastic, but it still looks pretty damn good. And we do not only like the design: It convinces with a MediaTek-SoC, which increases compatibility with Android apps, the fanless design, the good screen with a matte surface, and the decent performance. The battery runtime is a bit shorter compared to the rivals, but 11:38 hours in our Wi-Fi test should still be more than sufficient for the majority of users. You get a great Chromebook for about 300 Euros, even though it is not easy to get everywhere in Europe. 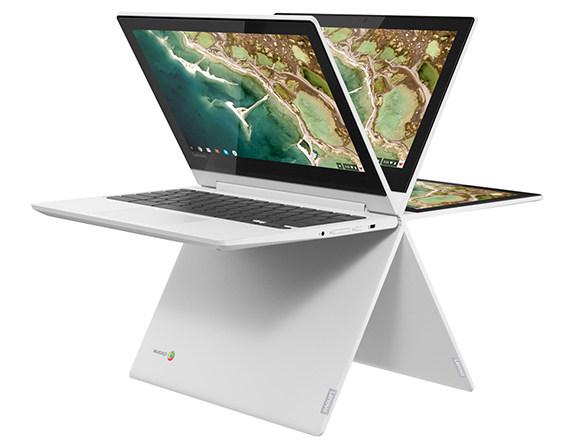 Do you prefer a Chromebook convertible instead of a classic laptop with Chrome OS? Then you should have a look at the Acer Chromebook R13 with its touchscreen – but it is only useful for Android apps. We like the 1080p screen, the silent operation, and the great battery runtime. Downsides are the slightly unstable chassis, and limited maintainability – even though this is the case for almost all Chromebooks. The keyboard is not perfect for prolific writers, either. 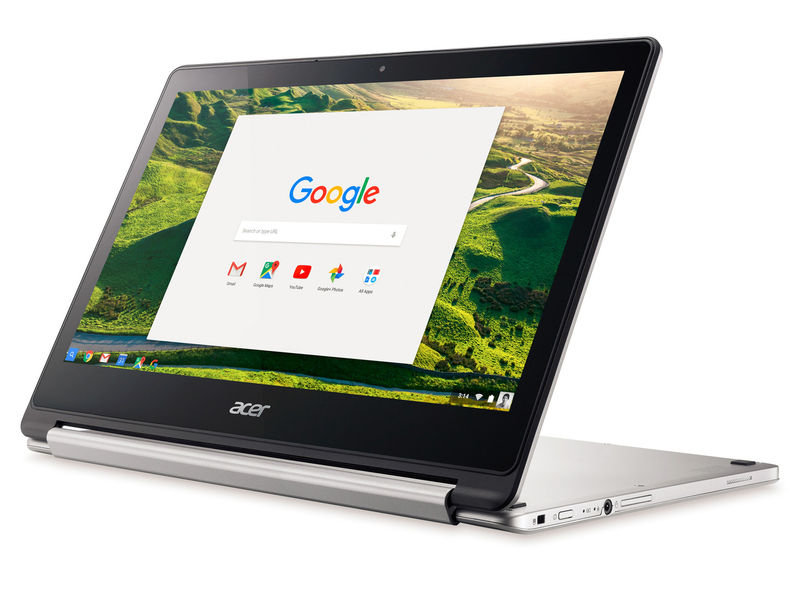 The Acer Chromebook R13 is still a solid Chromebook convertible if you can live with the limitations. The Acer Chromebook R 11 is the smaller version of Acer's convertible Chromebook. You do not get a 1080p screen, but this is still okay considering the panel size. A touchscreen is included and you can enjoy all the other advantages of the convertible. The system is completely silent and is equipped with a fast WLAN module. The screen is a bit dark and there is no USB Type-C. Otherwise, the Acer Chromebook R 11 for 350 Euros is a decent machine for typing, web browsing and it supports the Google Play Store. Chromebooks have a bigger focus on the education sector, just like the small convertible Dell Chromebook 11 3181 2-in-1. It offers some qualities for classrooms like good keyboard, silent operation, long battery runtime, and a decent screen. Disadvantages include the slow SD card reader, the mediocre speakers, and the limited maintenance options. The design is a matter of taste as well, but the chassis is very sturdy in return and should not have problems with tougher handling. The Dell Chromebook 11 3181 unfortunately has some disadvantages over the 2-in-1 version: The quality of the screen is much worse, the speakers are mediocre, and the build quality is too bad, even for such an inexpensive device. We like the keyboard and the compact dimensions as well as the battery runtime. You might consider paying the additional 50 Euros for the Chromebook 11 3181 2-in-1, which is a big upgrade in terms of build quality and screen.